Fossilguy.com: Megalodon Shark Facts and Information: Size - Teeth - Evolution - Where to Find Megalodon - and More! Carcharocles Megalodon in Greek means - Carcharocles "Famed for Jaggedness" and Megalodon "Big Tooth"
Otodus Megalodon in Greek means - Otodus "Ear-Shaped Tooth" and Megalodon "Big Tooth"
Discovery: Megalodon teeth have been found throughout history. Pliny the Elder, around 70 AD, beleived shark teeth were triangular objects dropped from the sky during lunar eclipses. In the middle ages, Europeans thought they were "tongue stones" or petrified tongues of dragons and snakes. Megalodon teeth were worn as pendants and used in medicine. Native Americans used shark teeth, including megalodon teeth as necklaces and tools such as scrapers. The actual name "Megalodon" was named by Louis Agassiz in 1843. Megalodon evolved from Carcharocles Subauriculatus sometime in the Miocene and became extinct in the Pliocene 3.5 million years ago. It is not alive today, and has been dead for millions of years. It has the largest teeth of any shark. Although the largest teeth from megalodon are a little over 7 inches, A more common size for megalodon teeth is between 3 and 5 inches. The image shows one of the worlds largest megalodon teeth. It s 7 1/4" (184 mm) slant height and was found by Vito Bertucci in South Carolina. The more reliable body size estimates go up to around 60 feet. It's possible that slightly larger ones existed. The average size of a megalodon was around 33 feet. megalodons were a little larger than the modern day Whale Shark, and over twice as large as a Great White shark. Sorry, it was not an 80 to 100 foot beast! It was the most massive shark to ever live. Evidence shows it ate Whales. Yes, Megalodon is extinct. According to all of the scientific research, megalodon became extinct sometime in the mid to late Pliocene. Factors for extinction include changing ocean currents, the loss of it's main food source, competition with Killer Whales and Great Whites, and whale migration into arctic waters. Megalodon Shark Teeth Size vs Great White Tooth vs T. Rex Tooth. With teeth that could reach over 7 inches and a body more massive than a T-Rex, Megatooth sharks, particularly Carcharocles Megalodon, are undoubtedly the most infamous of all prehistoric sharks. This shark could eat Jaws in one bite! Most paleontologists believe the Megatooth shark lineage dates back to the giant mackerel shark of the Paleocene, Otodus obliquus. Otodus was the top predator of the Paleocene oceans. Throughout the Eocene Otodus teeth became more and more serrated. The Eocene Tologaysor (say that 3 times in a row) formation in Kazakhstan shows this transition nicely. Each zone of the formation has Otodus teeth that are slightly more serrated over geologic time until they start looking like an early Carcharocles tooth. Once the Otodus teeth became mostly serrated, paleontologists renamed the serrated Otodus genus to the Carcharocles genus, and thus the Carcharocles genus arose. Where the genus transition occurs depends on which paleontologist you ask. For instance, one transitional form, O. aksuaticus is called C. askuaticus by some; others regard C. auriculatus to be O. auriculatus. Regardless of which transitional form is officially called a Carcharocles is a moot point. It is clear the Megatooth shark lineage (Carcharocles) was born from the Otodus lineage. Megalodon is NOT related to the Great White Shark. Their evolutionary lines are very different. To learn about Great White shark origins and evolution, go to the GREAT WHITE SHARK GALLERY page. Over time the Megatooth shark went through slight morphological changes. The teeth became more regularly serrated, the Otodus cusps got smaller, the crown got broader, and the overall size increased. Paleontologists assigned each slight tooth change of the Megatooth shark to a new Carcharocles species. The Megatooth shark reached its high mark as C. megalodon, a shark of monstrous proportions. Today there is a push by many Paleontologists to simplify the entire lineage and call every genera Otodus. So today, one can hear Otodus megalodon or Carcharocles megalodon depending on which paleontologist one asks. This shows the lineage of the Megatoothed sharks leading to the Megalodon. This lineage example is not complete, as it is missing the Kazakhstan specimens, but it shows the general broadening and cusp reduction. It's important to note that each species is the Megatooth shark, with a slight change in tooth form over different periods of time. As a result, there are many teeth that are a cross between two species. For example, in the early Miocene, C. subauriculatus have large cusps, where by late Miocene the cusps are very small. Some paleontologists may further subdivide the many C. species, but it's important to remember all of the species are the same shark evolving over time. So don't worry if you find a tooth with very small cusps, and can't tell if it's a juvenile megalodon or a subauriculatus; it's a Megatooth shark, leave it at that! 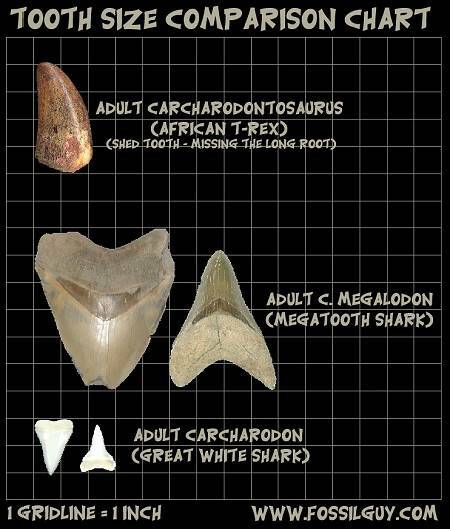 For more information, here is a great article by Lutz Andres about megalodon evolution. 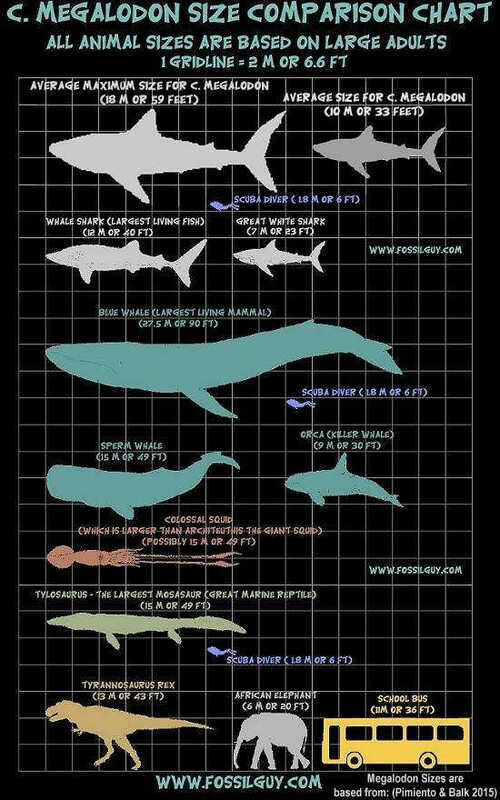 Megalodon size comparison to other animals. The megatooth shark was clearly a top predator of its time. So, how big did a megalodon get? Some Megalodon shark teeth found have over a 7 inch slant height. Fossil teeth are more commonly between 3 and 5 inches. With that said, no one is sure what the body of the megalodon shark looked like. Therefore it is difficult to say how big the megalodon shark could actualy grow. Years ago, lengths of 100 feet were speculated. Today, this length has been vastly shortened. Using tooth and jaw reconstructions from associated fossils, paleontologists have calculated possible size estimates. Some estimates (Pimiento & Balk 2015) give a megalodon a maximum average length of around 59 feet (18 m), while other estimates are a little higher, such as 66 feet (20.2 m) (Gottfried et al. 1996). The average size of a megalodon was around 33 feet (10 m). Regardless of the exact size, it was an impressive animal! According to Gottfried, the weight of a huge 56 foot megalodon would have been around 65 tons (59 metric tons)! For a more complete discussion on Megalodon Size, complete with current research, and methods of how size is determined, go to the Megalodon Body Size page of this website. Great White Shark: A megalodon was probaby around three times larger than a Great White Shark, which a length of 20+ feet is rare. Whale Shark: A megalodon was probably slightly larger than a Whale Shark, which can reach lengths around 41 ft.
Blue Whale: A megalodon was probably about half the size of a Blue Whale, which can reach lengths of around 94 ft. 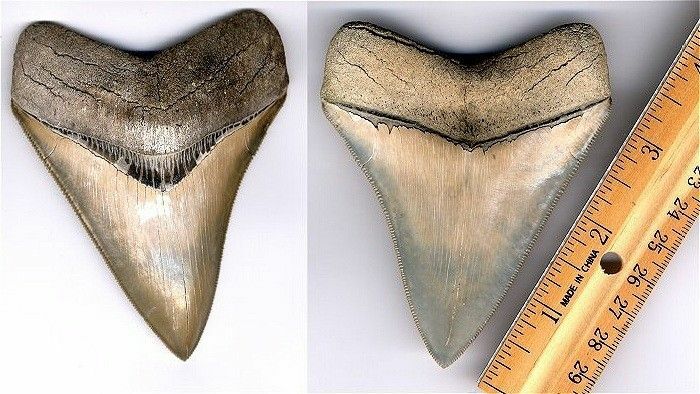 If you have a fossil megalodon tooth in your collection, click here to get a rough estimate of the size of the megalodon shark your megalodon tooth came from. Megalodon Diet and Bite Force - What did Megalodons Eat? This image shows two views of fossil cetotherium (whale) vertebra. 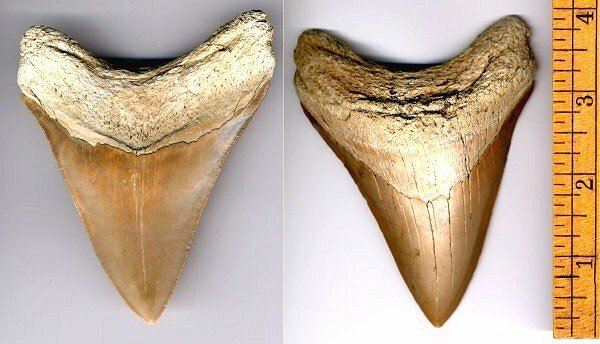 The left one is intact, while the right one has been bitten in half by a C. megalodon shark. Notice the large gouge marks where the teeth scraped through the vertebra. The quality of this vertebra indicates it was probably swallowed. Evidence suggests the obvious; this prehistoric shark ate whales and other cetacea for breakfast! 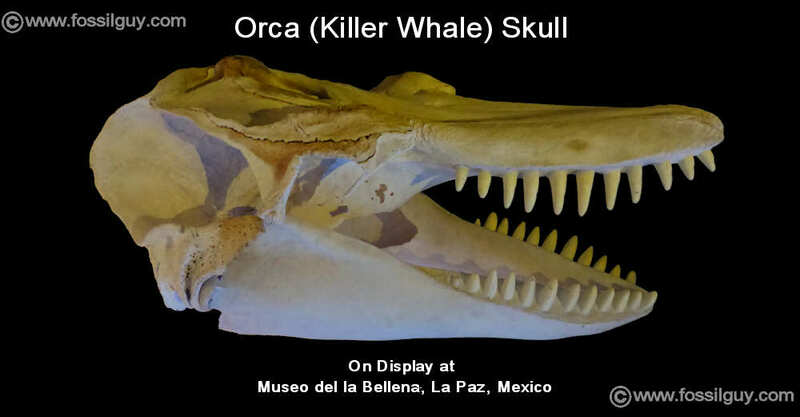 It's fossils are almost always found in areas associated with fossil whale bone. Some of these fossil whale bones of the Miocene and Pliocene show bite marks from megalodon teeth. 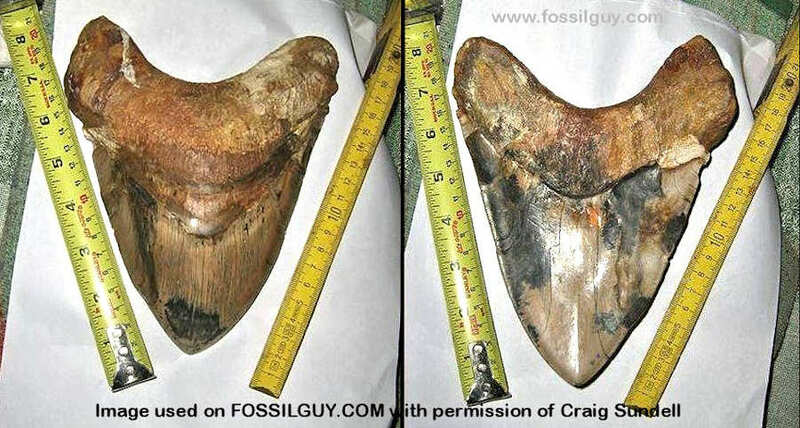 One of the best examples of megalodon predation evidence is shown in the image above. In 2008, S. Wroe et al. did computer modeling of the Great White shark and C. Megalodon bite force based on jaw reconstructions. They found the megalodon had a maximum bite force of around 182,000 Newtons (41,000 lbs). This is the largest bite force of any animal EVER! This high bite force verifies megalodon could have easily crunched up large whales. For comparison T-Rex has been calculated to have a maximum bite force around 57,000 Newtons (13,000 lbs). To view either bite force article, scroll to the bottom of the page to the references section for links. 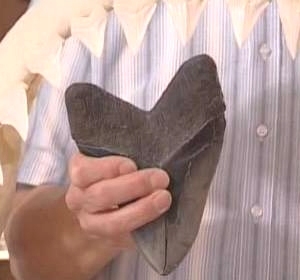 Megalodon fossil shark teeth are found associated with a cetacean (whale / dolphin) vertebra, such as this one. 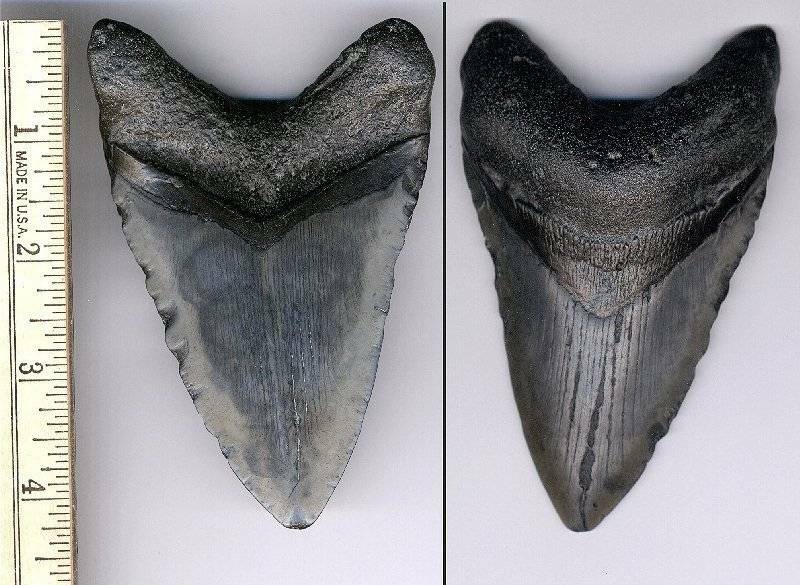 These images show a closeup of the tooth rows of a reconstructed megalodon shark from the Calvert Marine Museum. Like all sharks, the teeth are continually replaced by newer teeth waiting in rows behind the front teeth. The sheer size of the jaw and teeth indicate a massive bite force. The Megalodon shark is extinct. It is not living in the deep oceans, nor did it evolve into something else. Living Megalodon sharks lie in the realm of pseudo-documentaries and pseudo-science. There is absolutely no credible evidence that megalodon exists today. 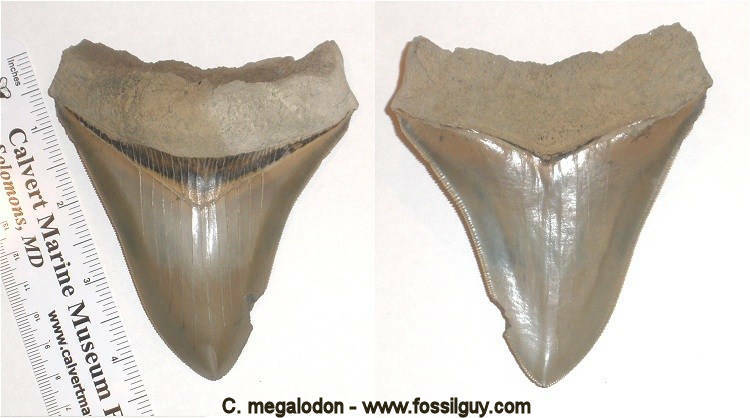 For further information on why not to beleive the pseudo-science, go to the "Is Megalodon Alive Article"
A 4.5" Fossil Megalodon Shark Tooth as found from North Carolina. A study by Pimiento and Clements 2014 suggested a megalodon extinction date at the end of the Pliocene around 2.6 million years ago. However, a more recent study by Bossenecker et al, 2019, shows megalodon may have gone extinct even earlier, around 3.51 million years ago. 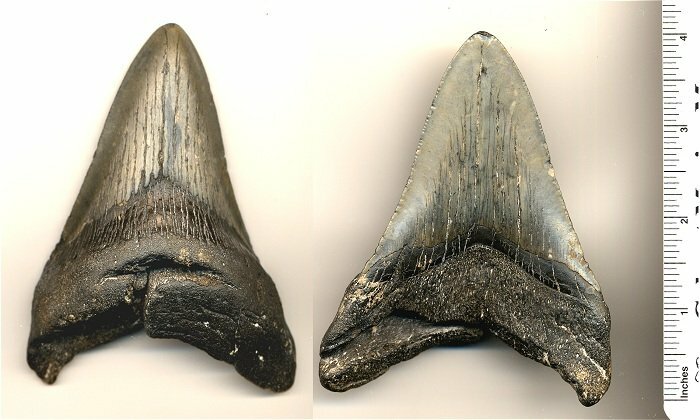 Bossenecker et al re-evaluated every reported occurrence of megalodon on the west coast and found no reliable fossils after 3.6 million years ago. They suggest a cooling trend in ocean temperatures, coupled by competition from the newly evolved Great White sharks could have led to their extinction. At the end of the Pliocene, there is a little known mass extinction event. This extinction event usually gets eclipsed by the more famous extincitons, but it was a mass extinction non-the-less. The end Pliocene mass extinction was marine in nature. It wiped out approximately 43% of sea turtle species, 35% of sea birds, and 9% of sharks, including the Megalodon (Pimiento et al, 2017). It also hit large marine mammals particularly hard. Marine Mammal diversity dropped by 55% (Pimiento et al, 2017). This includes the extinction of Dugongs in the Western Atlantic, and a sharp drop in whale diversity. Whale diversity today is but a shadow of what it once was. Lets look into the details of this mass extinction to see why Megalodon was amung one of the victims. Cetacea (Whales and Dolphin) diversity took a dramatic drop. Many genera and species became extinct. Unfortunately, Megalodon sharks ate whales. If the Megalodons food source severely declined, it would be expected that the Megalodon populations would also dramatically decline. This is a mother and newborn calf at a breeding ground in Vava'u, Tonga. These Humpbacks will migrate to Antarctic waters during the summer months to feed. The middle to end of the Pliocene was a time of extreme environmental change. Two big changes were the closing of the Isthmus of Panama and the overall cooling of the Earth. The closing of the Isthmus of Panama effectively separated the Atlantic and Pacific Oceans along the equator. This disrupted and changed ocean currents and saltanity levels, which in turn disrupted nutrient flow in the oceans. Coupled with this is the cooling of the Earth, leading to glaciation in the Northern hemisphere and a drop in sea levels. This again disrupted the nutrient flow in the oceans. These major disruptions of the oceans caused many behavior and evolutionary changes in the surviving whales. Around this time, baleen whales began to globally migrate in search of food (plankton). They began migrating into arctic regions (as they continue to do today). Unfortunately, Megalodon sharks were warm water sharks and could not go into the cold arctic waters. 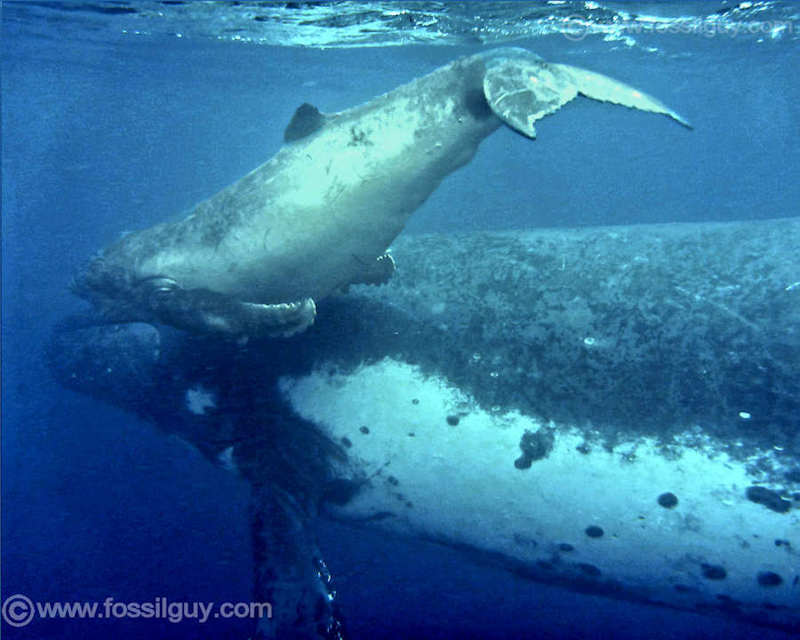 As a result, their remaining food source, the large baleen whales, would be unavailable for long periods of time. Without this food, Megalodons would starve. The drastic climate and ocean current swings that would lead to the extinction of many animals also forced the evolution of new ones. On land, we see the evolution of the Polar Bear, and in the oceans we see the rise of the Killer Whales. Orcas, or Killer Whales are large marine mammals that are intelligent and hunt in packs. They quickly became the top predator of the Oceans. Unfortunately, if there are two apex predators vying for the same food supply, one is going to lose, and we all know Killer Whales did not go extinct. Today, pods of Killer Whales are occasionally observed atacking and feeding on large Great Whites and other Whale species. In the past, it would be no different. Juvenile Megalodons would be no match for a pod of Killer Whales. 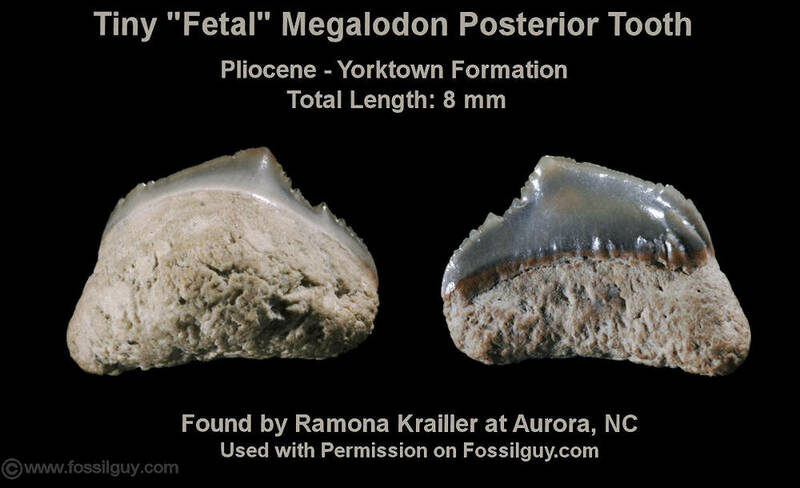 How do we know megalodon went extinct around the mid-late Plioece? Paleontologists knew the megalodon became extinct sometime by the end of the Pliocene Epoch, which was around 2.6 million years ago because the megalodon fossils are not found in formations past that date. A research team did a quantitative analysis of the fossils to verify this date. In 2014, Catalina Pimiento and Christopher Clements analyzed the ages of megalodon fossils from literature and scientific collections. They then used a mathematical technique called Optimal Linear Estimation to infer the extinction date. The date the model came up with was 2.6 million years (Pimiento and Clements, 2014). More recently, Bossenecker et al, 2019 re-evaluated every reported occurrence of megalodon on the west coast and found no reliable fossils after 3.6 million years, and cite an age of 3.51 million years for the median extinction date of Megalodon. The extinction date of the mid-end Pliocene has now been verified both qualitatively and quantitatively by the scientific community. Megatoothed sharks have a very complete fossil record spanning tens of millions of years, leading into the apex predator C. megalodon. Yet in the late Pliocene around 2.6 million years ago, the fossil record of megalodon ceases along with the giant sea turtles, giant dugongs, half of the the whales, a third of seabirds, and many more marine animals. It appears the Megalodon was simply too specialized and could not adapt fast enough to the chaotic environment of the late Pliocene. Millions of years of evolution had made the megatooth shark too large and too specialized to adapt to its changing environment. The fators listed above, and a few other factors, contributed to the extinction of this great beast. There was a day, some 3.5 million years ago, when the last surviving megalodon on Earth died. Today we know of this great animals existance due to the fossils it left behind. The National Geographic DVD: Prehistoric Predators: Monster Shark is the only Video I've found that actually has real facts about the Megalodon. It is not one of those garabage "mocumentaries" of recent. National Geographic does a great job at presenting everything about the Megalodon, including it's paleoecology and extinction. If you are looking for a real megalodon documentary to watch, this is it. Peru and Chile:The Pisco Formation of Peru and the Huarra Formation of Chile contain very large and beautiful megalodon teeth. They are found on land in the desert regions, with many other shark and whale fossils. The export of Chilean megalodon teeth has been banned since 2006. The worlds largest measured megalodon has come from the Pisco formation. 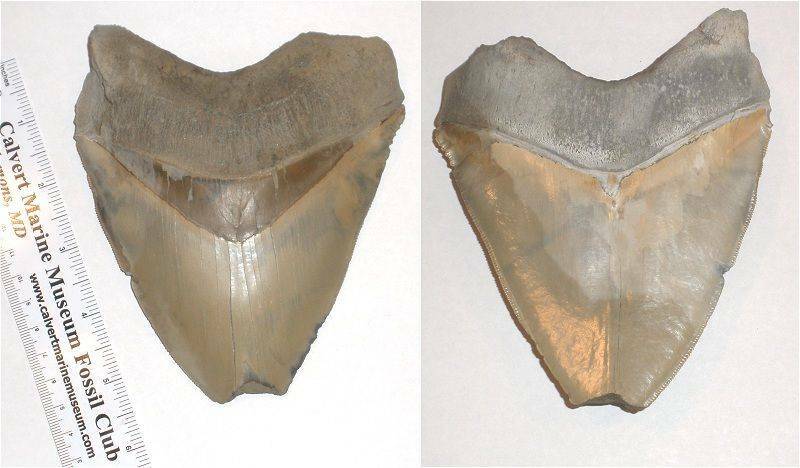 New Caledonia:Megalodon teeth have been dredged from the deep slopes of a fringing reef around New Caledonia. These teeth have eroded out of their Miocene formation and are heavily worn. These South Pacific Megalodon teeth can no longer be dredged. However, this location is mentioned here, because these New Caledonian teeth continue to stir up controversy from time to time. Manganese dioxide dating of the teeth in the late 50's indicated an age of 11,000 to 24,000 years. 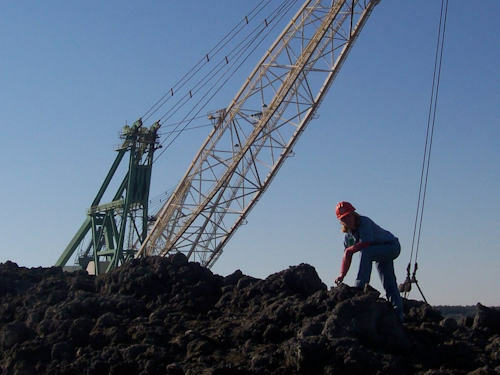 However, this type of manganese dioxide dating is now considered obsolete and invalid. The teeth from this area are clearly Miocene in age. These New Caledonian teeth are now highly sought after, and many have beautiful scrimshaw artworks on them. This is a New Caledonian Megalodon tooth dredged up from over 1000 feet of depth. The Author Blackwater diving in the cooper river for megalodon shark teeth. Notice, even with the underwater light, it's REALLY dark! South Carolina has a few formations that contain Megalodon teeth. The main formation is the Hawthorne Formation. A while back, one could surface hunt in areas being developed that exposed this formation. The big development boom is now over, and it is now difficult to find places to legally access. However, the famous Black water rivers in South Carolina, such as the Cooper River, continually wash out megalodon teeth from this formation. The best way to find megalodon teeth in South Carolina is to dive for them! This isn't normal diving, it's Blackwater diving! This means there are strong currents, almost zero visibility, then add rolling logs and alligators. It can be dangerous, and there are occasionally fatalities, so it is not for the novice diver. If you think you are ready to Blackwater dive, there are lots of charters that go out. Most of these charters require an ADVANCED Open Water Certification. To Dive for fossils in South Carolina, you must also have a "Hobby Dive License" From the SCIAA. Before you book a charter, be sure to have one. You must also report your finds. The following link will take you to the Hobby SCIAA Dive License forms page: Hobby Dive License Forms. If you think you are ready to Black Water dive, be sure to read about one of our Blackwater Dives! Click here for a Blackwater Dive Trip Report, it includes a video showing what black water diving is like. These guys go on Black Water Dives. I've never chartered from them but have been to their shop and rented tanks from them. 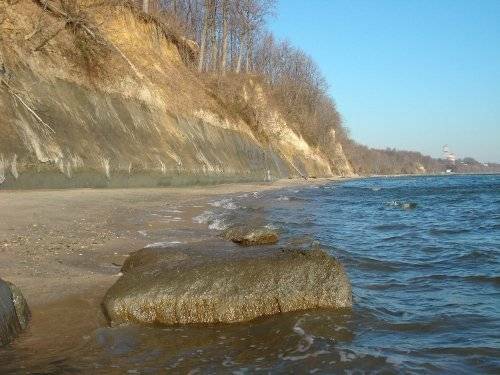 The Calvert Cliffs is a HUGE Miocene exposure that runs along the Chesapeake Bay. It's in fact one of the largest continually running Miocene Exposures in the world. It's an awesome place to fossil shark tooth hunt. One simply combs the beach, looking in the surf line. Unfortunately, there are a few downfalls to this location for Megalodon teeth. 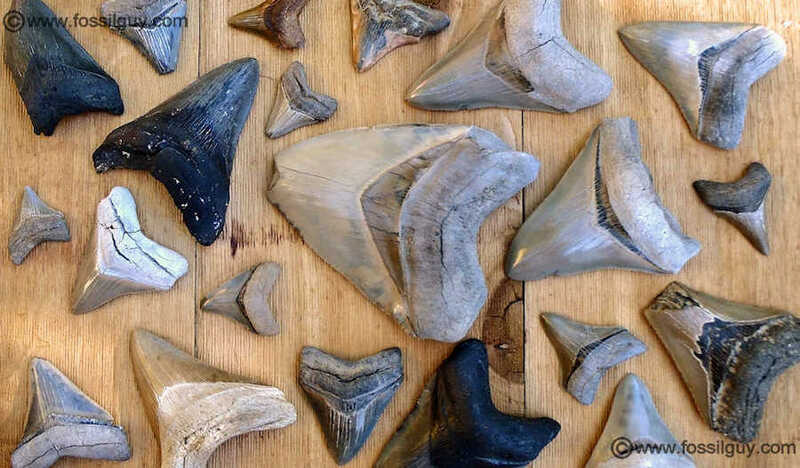 First, the megalodon teeth are usually smaller than many other collecting locations. A 4" tooth is considered HUGE here. Secondly, access to most of the cliffs is private, and therefore illegal, and the few public spots are hit hard by fossil collectors. Despite this, it's a wonderful place to explore and fossil hunt at. Aurora has the famous PCS mine which digs through the Yorktown and Pungo River Formations. Both of these formations contain megatooth shark teeth. Unfortunately, access to the mine for fossil hunting is not allowed. However, the nearby Aurora Fossil Museum has truckloads of PUNGO sediment dropped outside their museum from the mine. Smaller megalodon teeth are found in these sediment piles. This is a nice fossil collecting area. 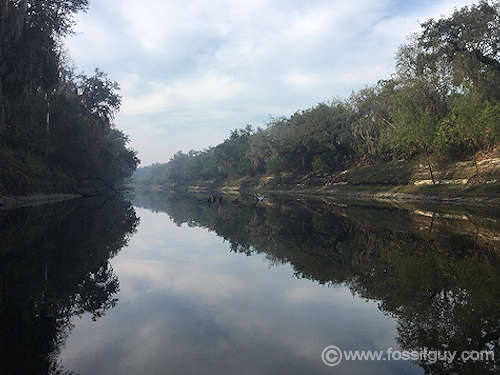 It's all along the Peace River of Florida. Simply grab a shovel and sifter, and wade into the river! Fossils from prehistoric shark teeth to Ice Age mammals can be found. This includes Megalodon teeth! 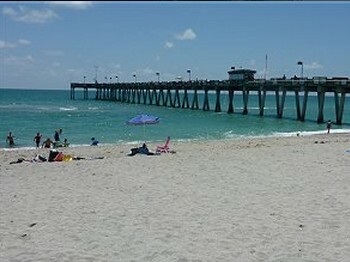 The Peace River formation pops up just offshore around the Venice area in Florida. Shark teeth wash ashore all along the Venice area. Sometimes megalodon teeth will also wash up. You can also charter a dive boat, and dive the formation to increase your chances of finding Megalodon teeth! Megatooth shark teeth are unmistakable. They are big, robust, and serrated. However, identifying a specific species is a bit more difficult. Generally, knowing the formation, and thus the time period, helps tremendously. For example, if the tooth was found in an Eocene formation, its probably C. auriculatus, or C. aksuaticus, depending on the serrations. If it was found in Oligocene deposits, it's probably C. angustidens. 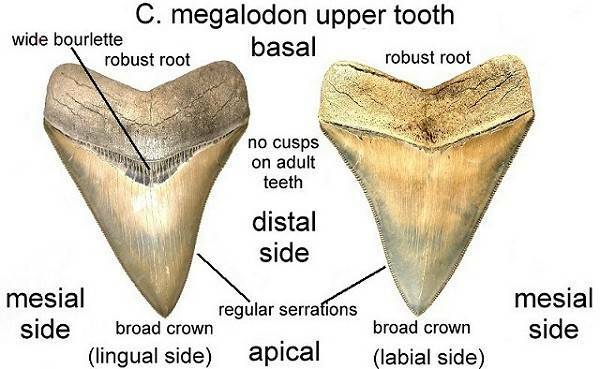 Miocene formations would most likely have C. subauriculatus or C. megalodon, depending on if there are cusps on adult teeth, and a Pliocene formation would only have C. megalodon. 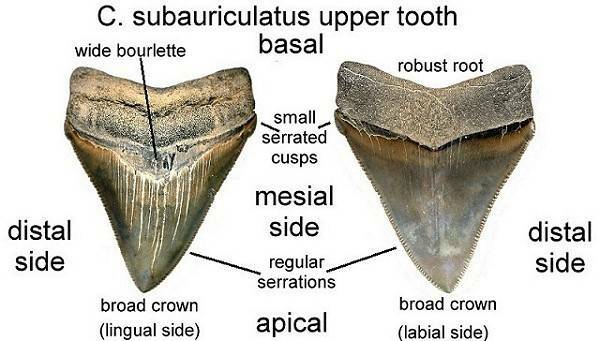 Generally speaking, each successor species has the following changes: smaller cusps (no cusps for adult C. megalodon), a broader tooth form, a larger size, and more regular serrations. Juvenile C. megalodon sometimes have cusps, and therefore look identical to C. subauriculatus. Also remember, depending on the exact age and formation, a tooth may look more like a transition between two species. The only shark Megalodon teeth may look similar to is the Great White shark, Carcharodon carcharias. There are, however, some straightforward differences. Great Whites only occur in Late Miocene and Pliocene deposits, so they can only be found with C. subauriculatus teeth and C. megalodon teeth. However, compared to Megatooth shark teeth, Great Whites are much thinner and smaller with less robust roots. Also Great White teeth do not have a bourlette, whereas Megatooth sharks have a very wide and noticeable one. Finally, Great White teeth have very coarse and irregular serrations, compared with the regular, smaller, serrations of the Megatooth sharks. 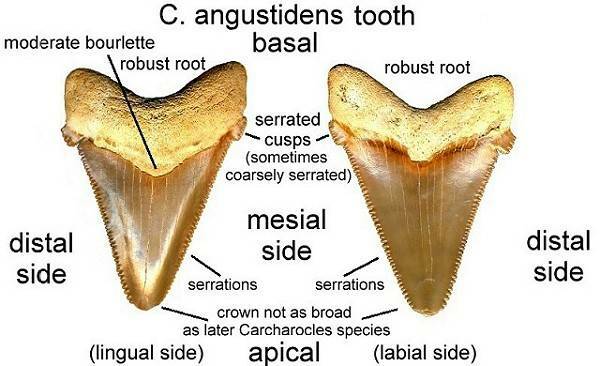 The following fossil shark tooth Identification diagrams show three of the megatooth species, Carhcarocles megalodon, C. subauriculatus, and C. angustidens. On the fossil tooth identification images below, the lingual sides of the teeth are the side facing the tongue, and are usually shown as the "display" side. The labial side is the side facing the front of the mouth. Labial sides are usually the smoother sides. This is possibly the worlds largest megalodon tooth. The tooth has a slant height 7.48". Based on Shimada's Method, the shark this tooth came from was between 60 and 65 feet! It's in a private collection. Image used with permission of paleontologist Craig Sundell. This is the smallest Megalodon tooth I have ever seen. I've found a couple TINY ones the size of a quarter, but this one is dime sized! Its probably from an infant or fetal megalodon. It's a posterior tooth. It has VERY fine serrations if one runs their fingertip across the blade. This is the largest biggest Aurora megalodon tooth I've found yet. It's a robust upper. Unfortunately, there is feeding damage to the tip. It measures a hair over 4.5" across, and a hair over 5" tall, with a 6" slant height. It would probably have a 6 1/4" slant height if the tip was there. This is a robust lower. There are a few chipped serrations. This is a decent sized Upper tooth. However the serrations are chipped off. It has the look of a reworked fossil. This is an upper tooth. The root has some damage done to it. This is a beat up Lower lateral meg found while Blackwater Diving in the Lowcountry of South Carolina. This is my favorite meg, because its my largest complete land find from South Carolina. Just look at the colors! The coloration of lowcountry land teeth are beautiful. Here is a near perfect Upper Aurora tooth. 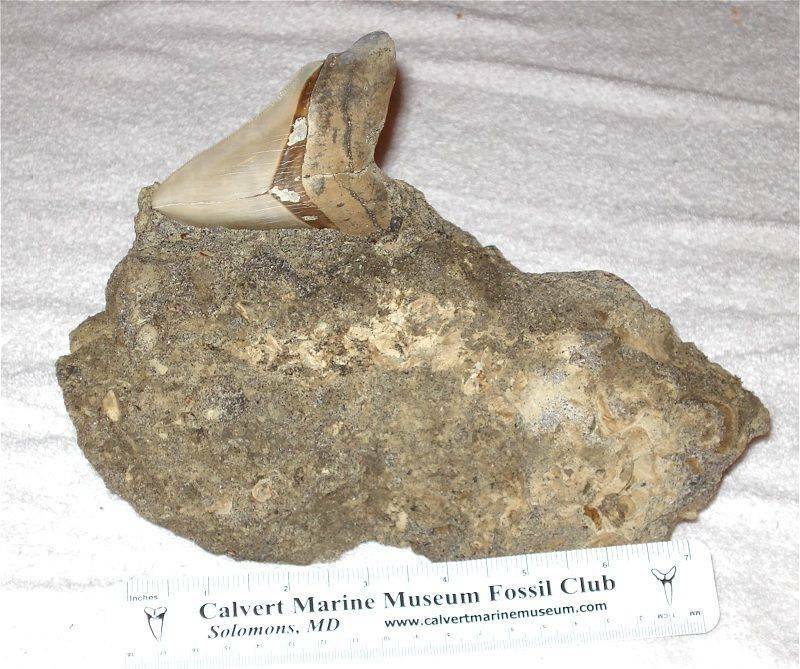 This is a typical Calvert Cliffs megalodon tooth. This is the average size and color that is found along the cliffs. Medium Subauriculatus tooth still in the limestone matrix it was found in. This is a 3 5/8" C. subauriculatus in a chunk of limestone at the Pungo River contact layer. Bates K.T., Falkingham P.L.. (2012) Estimating maximum bite performance in Tyrannosaurus rex using multi-body dynamics. Biology Letters. Catalina Pimiento, Christopher F. Clements. (2014) When Did Carcharocles megalodon Become Extinct? A New Analysis of the Fossi Record. PLOS ONE DOI: 10.1371/journal.pone.0111086 October 22, 2014. Pimiento, Catalina and Balk, Meghan A.. (2015) Body-size trends of the extinct giant shark Carcharocles megalodon: a deep-time perspective on marine apex predators. Paleobiology, 41, pp 479-490. doi:10.1017/pab.2015.16. Purdy, R., Schneider, V., Appelgate, S., McLellan, J., Meyer, R. & Slaughter, R.. (2001) The Neogene Sharks, Rays, and Bony Fishes from Lee Creek Mine, Aurora, North Carolina. In: Geology and Paleontology of the Lee Creek Mine, North Carolina, III. C. E. Ray & D. J. Bohaska eds. Smithsonian Contributions to Paleobiology, No 90. Smithsonian Institution Press, Washington D.C. pp. 71-202. Ward, Lauck, W.. (2008) Synthesis of Paleontological and Stratigraphic Investigations at the Lee Creek Mine, Aurora, N.C. (1958-2007). In: Geology and Paleontology of the Lee Creek Mine, North Carolina, IV. C. E. Ray, D. J. Bohaska, I. A. Koretsky, L. W. Ward, and L. G. Barnes eds. Virginia Museum of Natural History Special Publication, No 14. VMNH Publications, Martinsville, V.A. 2008. Smithsonian Institution Press, Washington D.C. pp. 325-436. Whitmore, Frank, C., and Kaltenbach, James A.. (2008) Neogene Cetacea of the Lee Creek Phosphate Mine, North Carolina. In: Geology and Paleontology of the Lee Creek Mine, North Carolina, IV. C. E. Ray, D. J. Bohaska, I. A. Koretsky, L. W. Ward, and L. G. Barnes eds. Virginia Museum of Natural History Special Publication, No 14. VMNH Publications, Martinsville, V.A. 2008. Smithsonian Institution Press, Washington D.C. pp. 181-269.